You are always so lucky said my sister as soon as I called to tell her the news. I don't think I'm lucky. I think I'm smart enough to pursue the opportunities that exist in our country and attain those goals when possible. I also realize that I am very fortunate to live in the country I do. The opportunities that I'm being given do not exist in many countries. In fact, the opportunity that I received today would equate out to winning the lottery for many people across the world. As it is, I'm just giddy and excited inside. When I flew home in June, I didn't really have a penny to my name and I was faced with having to start over again and somehow manage to get my husband home too. We did have a house to return too but we had people living in it and I had to give them some time to get out since we returned so much sooner than expected. I had a car that I'd left stored in the garage since we were still making payments on it. I reopened my unemployment claim and started work searching right away. My benefits were denied at first so I was trying to support two households on my one disability check. We stayed with Corri our first night back home. We were talking about a mortgage assistance program that she had signed up for. I remember hearing about Oregon Homeowner Help while I was working at the employment department. It was a part of the recorded message that played every time someone called into the office. I decided to give it a shot since I was basically unemployed and a little frightened about our financial situation. The deadline for the cycle was July 1st and everything had to be turned in by that date or you would be disqualified. I ran all over town collecting up every single document they requested and going through my files in storage trying to find the rest. 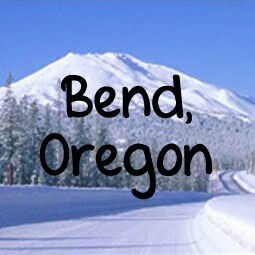 Bend Area Habitat for Humanity has been fabulous about helping me with the paperwork and assisting me with my application to the program. They carry my mortgage in-house and I have no interest, just the mortgage, insurance, and taxes. I gathered everything up and turned it in again. I asked what stage I was at and was told that it was a required 120 days so I needed to have a little more patience. Yesterday morning ( Oct 30), I received an email with a copy of the loan documents and the request to make an immediate appointment to come in and sign before the papers expired. Well, I was in their office at 9 o'clock this morning signing papers!! Since our taxes and insurance are rolled into our monthly mortgage payment, everything will be paid for us. I had expected only the mortgage portion to be paid by the program. So as of right now, I will not have to make another mortgage payment until either a) December 2015 or b) we file bankruptcy or c) I fail to comply with the quarterly income verifications and view the 45 minute homeownership education videos. So I am so freaking excited!!! We can finally start paying off some personal debt like my sister's credit card and save up for a car since Jose usually has to run to the gym after work if I'm driving, which is the case 90% of the time. And I can then start saving for SPAIN!! !